The LGBTQA Program invites the community to join in the celebration of Transgender Day of Visibility. This event will raise awareness of the issues in the trans community faces as well as bring attention to the accomplishment of trans people around the world. Come out and show support for the trans community! This event is free and open to the public. 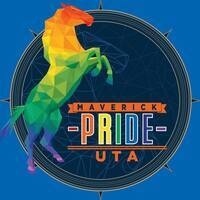 For the complete LGBTQA calendar, visit www.uta.edu/lgbtqa/.